STK London is renowned as the place to party. Yet I headed to this upscale venue to try out their newly launched pre-theatre menu and sample their food offering. STK London is a unique concept that blends the modern steakhouse and chic lounge into one decadent package. Located on the Strand right in the heart of the West End, this was one restaurant which I felt compelled to sling on the stilettos for. 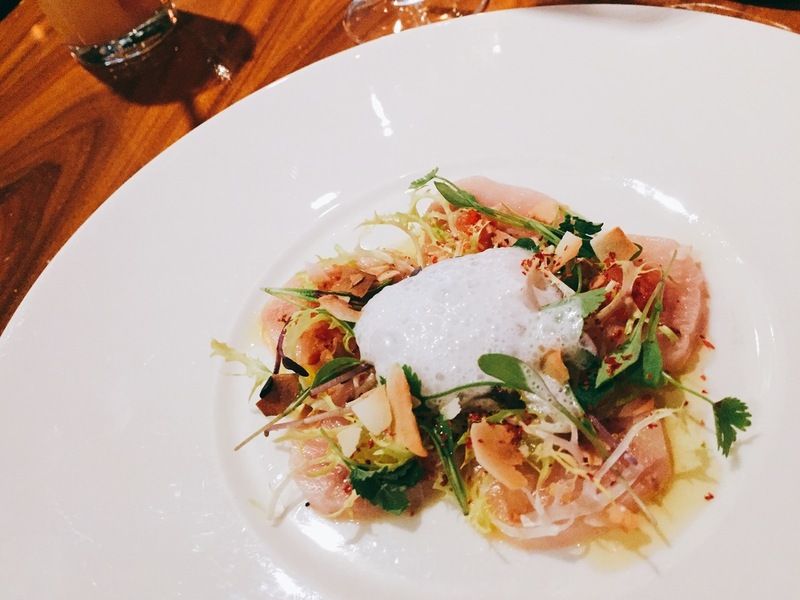 Once inside the décor at STK cannot help but impress. Having focused on social experience, the sleek design and purple and indigo hues create a sophisticated and classy feel. Once past the large bar area we were seated in a booth with a perfect view of the lavish décor. This month, STK’s pre-theatre menu offers guests the chance to sample the restaurants contemporary American menu paired with its unique high-energy vibe. 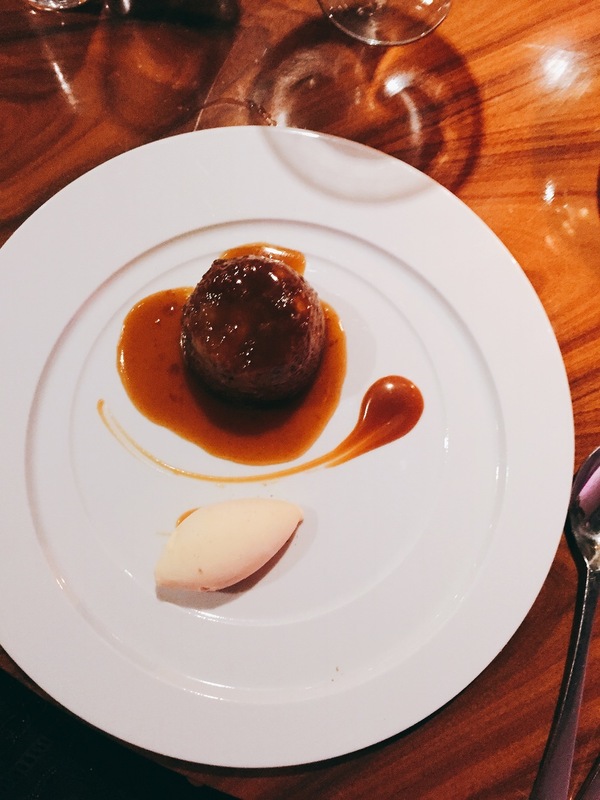 The three course meal includes a number of STK London’s signature dishes and I couldn’t wait to get stuck in. To start we ordered bread with blue cheese which proved to be a delicious combination with the olive oil dip that was provided. My starter was swordfish ceviche with young coconut and citrus pepper which was a beautiful refreshing dish to start on. My dining companion ordered the Lil’ brgs, a speciality of STK which is served with wagyu beef, special sauce and sesame seed bun. For my main course we tried the crispy bass gnocchi, greens, pancetta and we also ordered the layered butternut squash tart pickled walnuts, goats cheese. Both dishes arrived as good portion sizes and were flavoured well. Time for my favourite part, dessert! 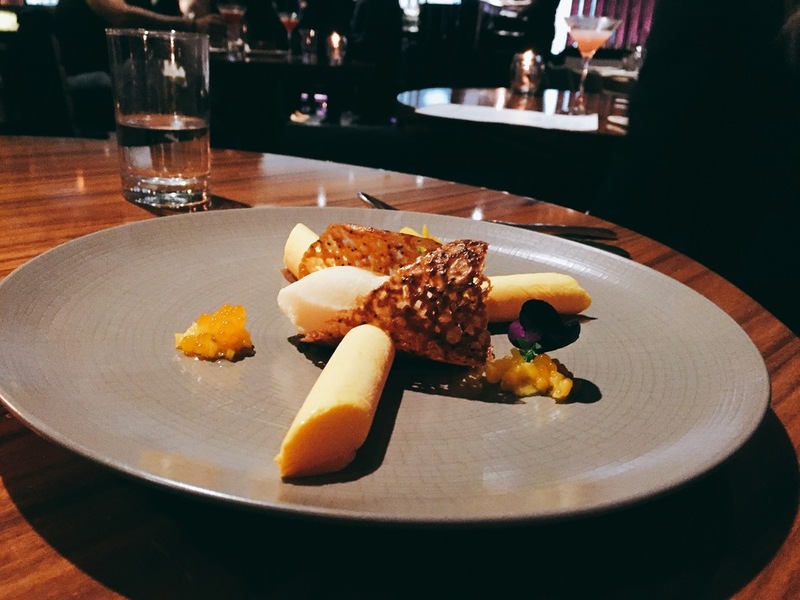 The pre-theatre menu at STK features 2 desserts so we ordered one each. 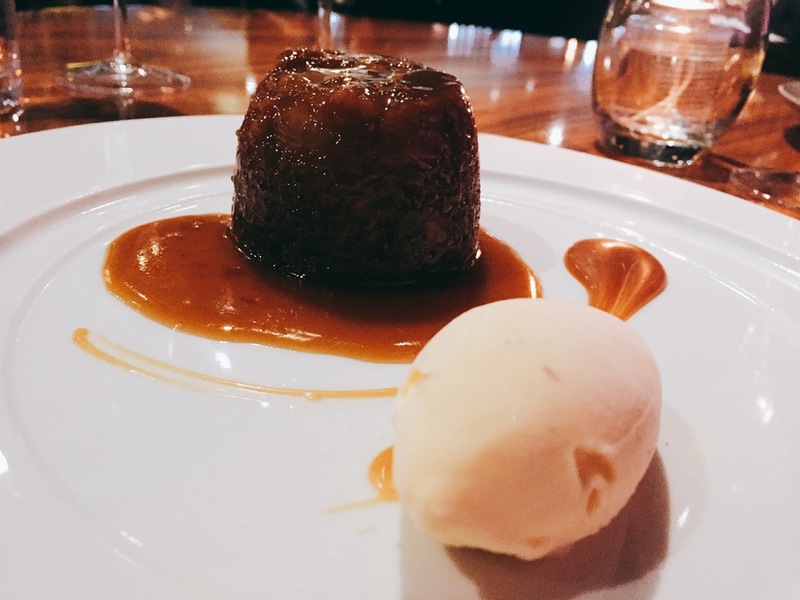 This included sticky toffee pudding with vanilla ice cream and salted malt caramel, and mango cream passion fruit sorbet with mango caviar and passion fruit biscuit. Both desserts were beautifully presented and delicious! Despite being quite full we ended up finishing both of them! 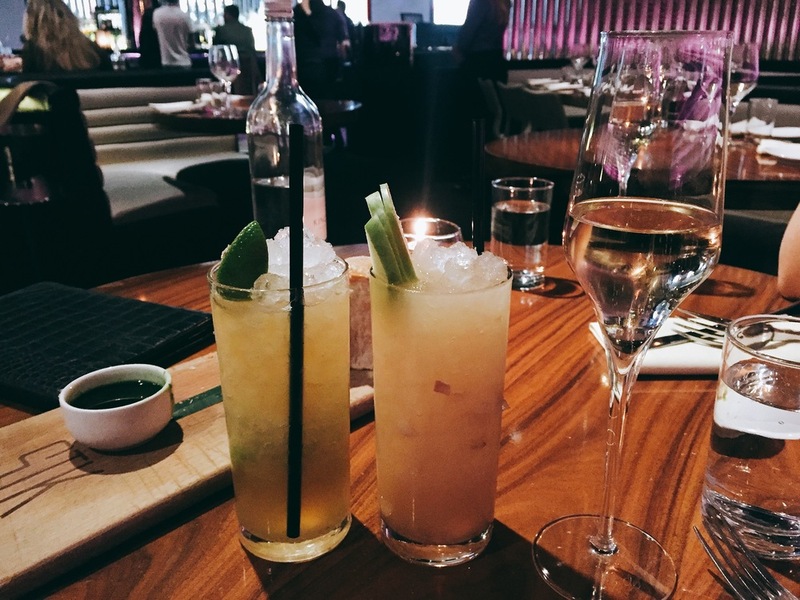 STK also has a range of stunning cocktails of which we sampled a few, including elderflower gimlet and ophelia flame as well as some compulsory champagne! STK London’s new pre-theatre menu includes three courses for £30. This is immensely good value for money and make STK more accessible as a early dinner venue, rather than as just a late night cocktail bar. STK London is a glamorous menu perfect for impressing on a high-end night out. The venue itself is stunning and the food and drinks emphasis the lavish feel the venue has. STK London should be on the list for all those looking for a glam night out as this high energy venue will suit your needs perfectly.